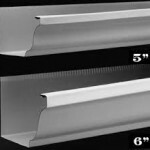 What’s The Difference Between 5″ and 6″ Gutters? 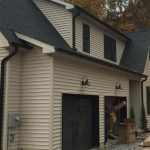 Many Homeowners probably didn't even know there was such a thing as different sized gutters and we'd venture a little further to say that many more homeowers probably don't know the size of the gutters on their home anyway! It's an important detail to know, one that makes a big difference in the performance of your gutter system.We'll explain … [Read more...] about What’s The Difference Between 5″ and 6″ Gutters? Soffit, Gutters, and Gutter Covers in New City N.Y. Here is a perfect candidate to show the difference new Vinyl soffit can make to the appearance of your home. The paint is peeling throughout the entire home on the soffit, fascia, and all of the wood trim. We ventilated to existing wooden soffit on this New City NY home by cutting a 6" wide strip out of the wooden soffit. 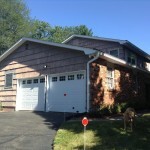 We then installed all new … [Read more...] about Soffit, Gutters, and Gutter Covers in New City N.Y.